Colgate-Palmolive Company (CL), together with its subsidiaries, manufactures and markets consumer products worldwide. 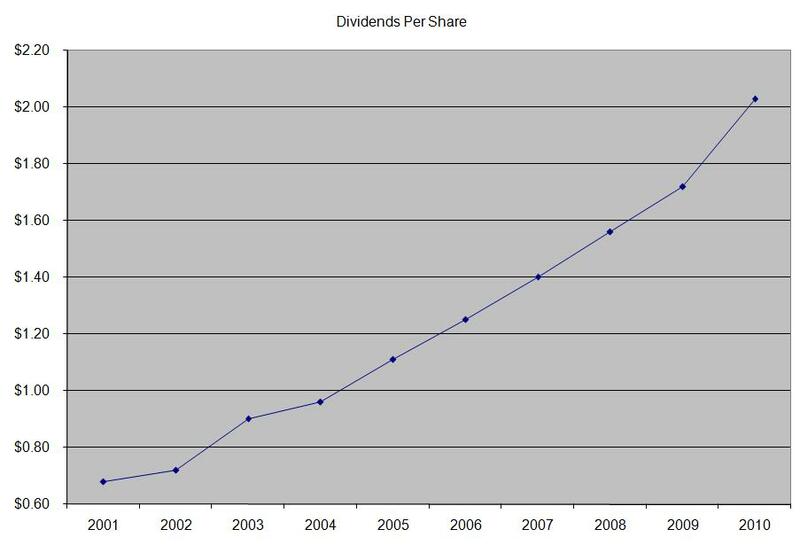 The company is a dividend champion which has increased distributions for 48 years in a row. The most recent dividend increase was in February, when the Board of Directors approved a 9.40% increase to 58 cents/share. The major competitors of Colgate-Palmolive include Clorox (CLX), Procter & Gamble (PG), Church & Dwight (CHD) and Kimberly-Clark (KMB). 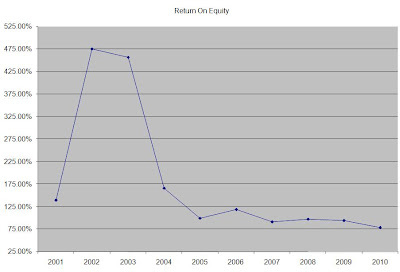 Over the past decade this dividend stock has delivered an annualized total return of 4.20% to its loyal shareholders. The company has managed to deliver an impressive increase in EPS of 9.60% per year since 2001. 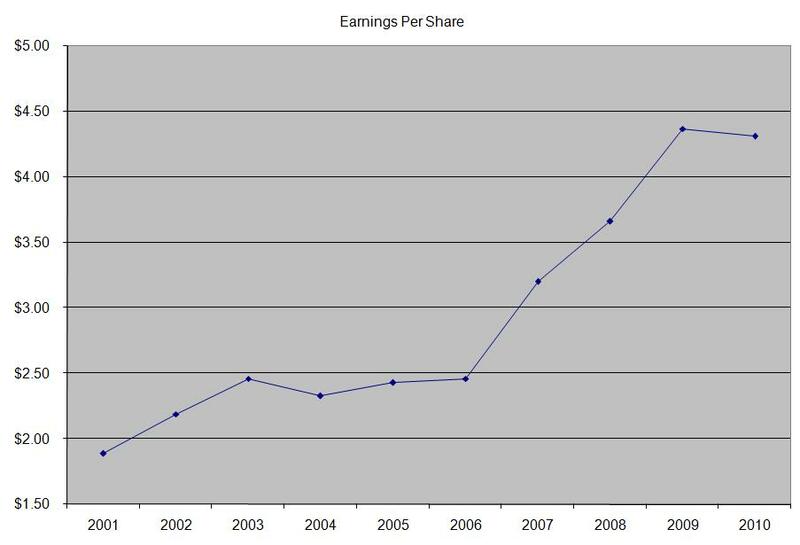 Analysts expect Colgate-Palmolive to earn $5.06 per share in 2011 and $5.50 per share in 2012. 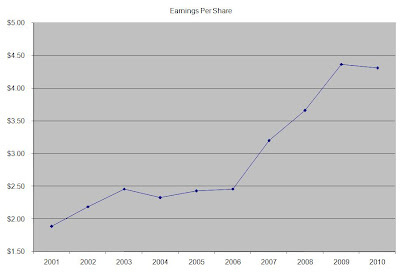 This would be a nice increase from the $4.31/share the company earned in 2010. The company has managed to decrease the number of shares outstanding by 1.30% per year over the past decade through share buybacks, which has aided earnings growth. 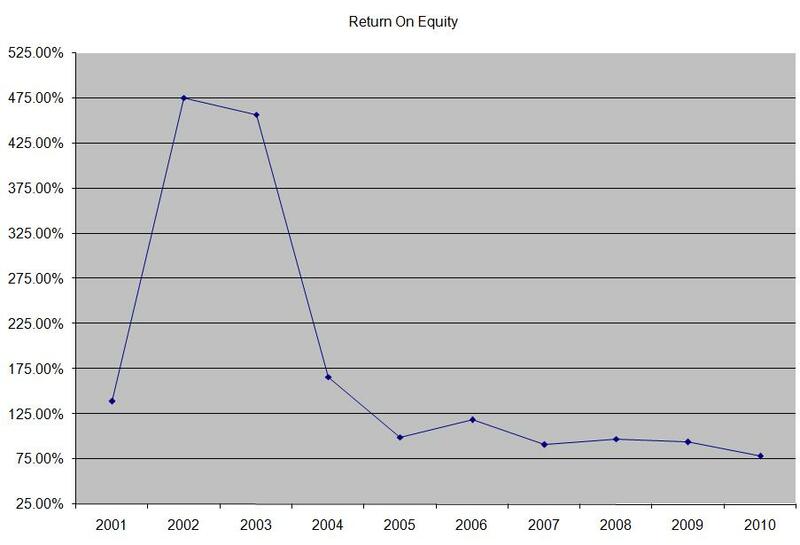 The company’s high return on equity has been on the decline since hitting a high of over 400% in the early 2000s. The company’s strong competitive advantages in the oral healthcare field plus the low capital requirements have enabled it to generate high returns on capital. This indicator is still impressive at 78.40%, but has been steadily decreasing, which means that new capital has been employed at progressively lower rates of return. Rather than focus on absolute values for this indicator, I generally want to see at least a stable return on equity over time. The annual dividend payment has increased by 13% per year since 2001, which is higher than the growth in EPS. A 13% growth in distributions translates into the dividend payment doubling every 6 years. If we look at historical data, going as far back as 1979, we see that Colgate-Palmolive has actually managed to double its dividend every eight years on average. Over the past decade the dividend payout ratio has remained at or below 50% for a majority of the time. A lower payout is always a plus, since it leaves room for consistent dividend growth minimizing the impact of short-term fluctuations in earnings. Currently Colgate-Palmolive is trading at 18.10 times earnings, yields 3.00% and has a sustainable dividend payout. The stock meets my entry criteria, and I will look forward to adding to my existing position in it.